Just ending this past weekend at the MACG (Museo de Arte Carrillo Gil) in Mexico City, was an exhibit titled Esto (no) es un libro de artista (This is (not) an artist book) which included the book sculpture works of Guillermo Álvarez Charvel and Héctor Falcón. 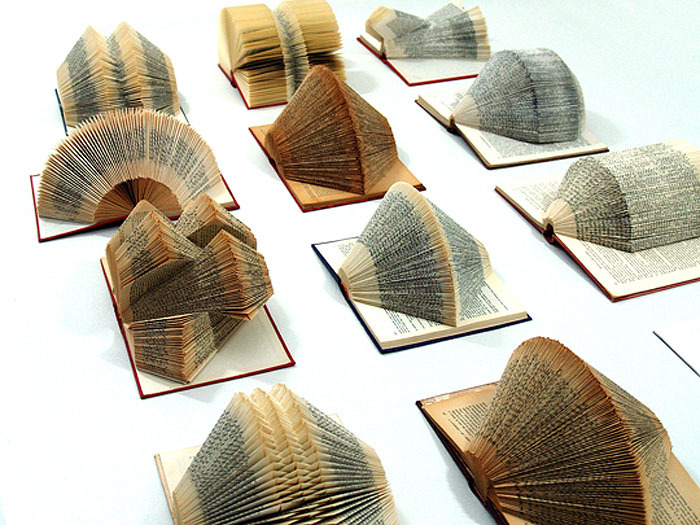 Yes, the amount of art revolving around books these days is both overwhelming and a little depressing, but at least these soon-to-be-extinct objects will live on as sculpture and installations. It’s interesting to see both these artists side by side and, in some cases, collaborating. 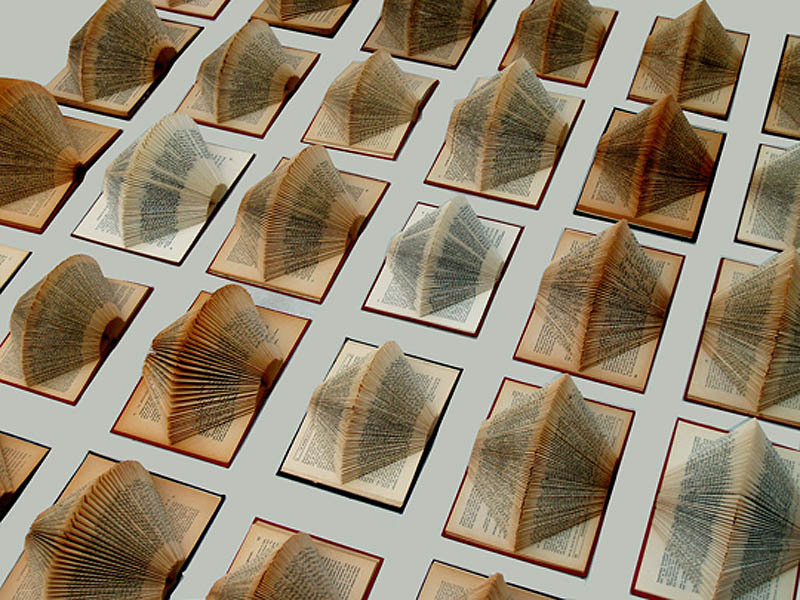 While Álavarez Charvel uses paper folding to create his book sculptures and works up from the original volume, Falcón’s works are more topographic, where he will stack books but then cut them into pieces or carve into them. This entry was posted in Art, Graphic Design, Stuff We Like. Bookmark the permalink.